Karva Chauth is around the corner and every building and home will be decorated like a wedding venue. 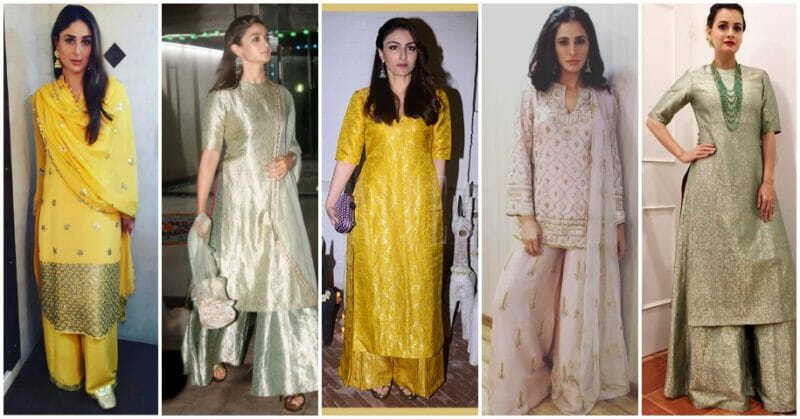 The ladies, though famished, look pretty and elegant in stylish ethnic wear. Bright coloured kurtas, vibrant dupattas and ethnic accessories complement the songs and chants of prayers, as women gather to distract their minds from hunger and thirst. 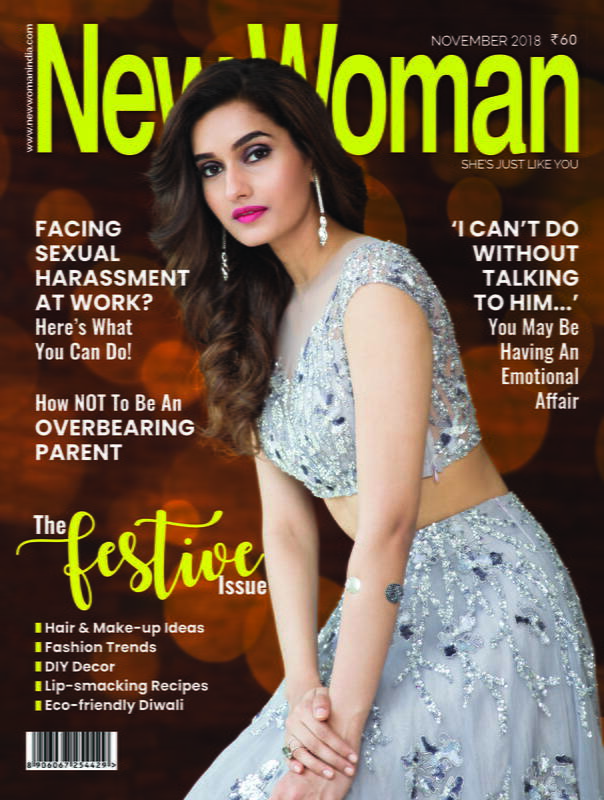 Whether you fast or not, it is indeed an excuse to dress up in the vivacious of Indian attires and steal your partner’s heart away. While you’re at it, why not wear a stunning kurta-palazzo set which is not just gorgeous but also comfortable. Make the most of Karva Chauth and dress in the shade of love. 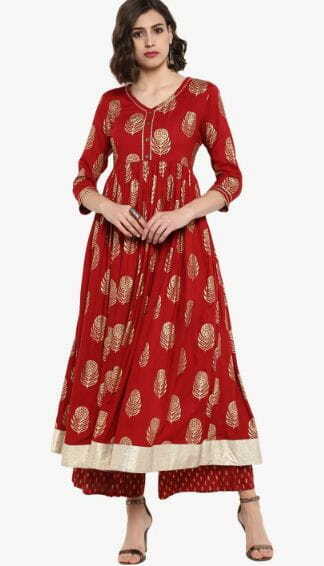 Opt for an Anarkali style kurta, long enough to almost cover the palazzos. Gold motifs will add the festive vibe to your attire. A silk kurti, palazzo and dupatta in pista green and lotus pink will exude the perfect festive vibe while making you look like a Goddess of femininity. Pair this with yellow or gold juttis for a Karva Chauth ready look. An orange kurta-palazzo set will look both festive and not over the top. Opt for gold pumps and clutch to match the outfit. Opt for a maroon colour kurta of 3/4th length, along with matching palazzo pants. Since the colour itself is so regal, let the look be rather simple. A kolhapuri will work beautifully with this look. 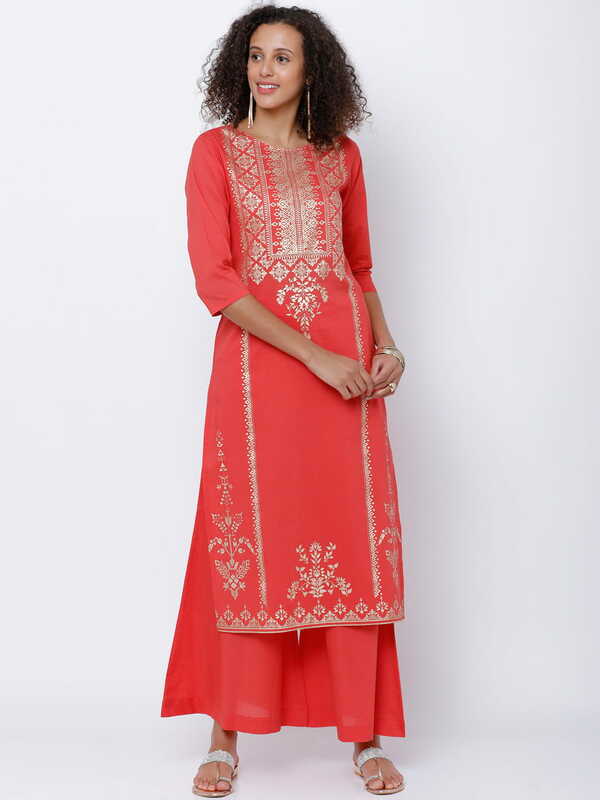 Opt for a georgette or chiffon coral kurta-palazzo set with gold embroidery for a festive look. Pair it with minimal jewellery and let the focus be on this gorgeous shade.